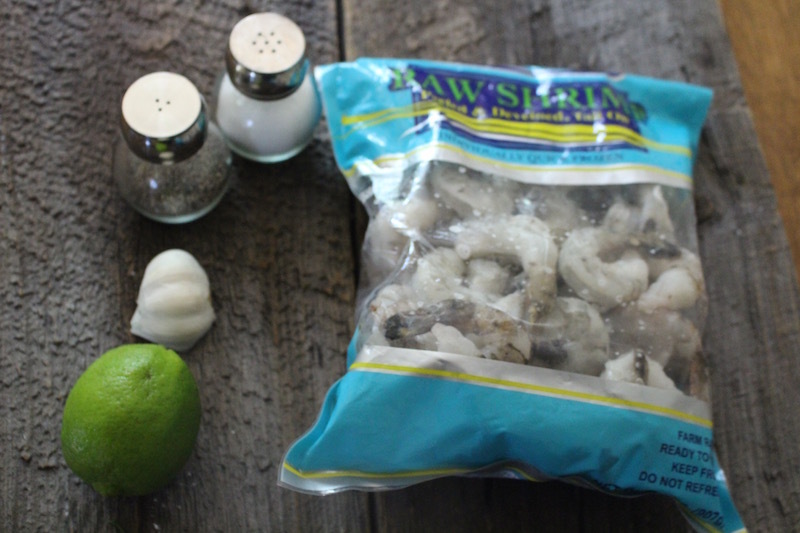 Super quick and easy recipe to make for seafood lovers. 1.) Wash all the shrimp and add into a bowl with salt/ ground black pepper/ lime juice and crushed garlic and mix. Cover the bowl and let it stand for 20 minutes. 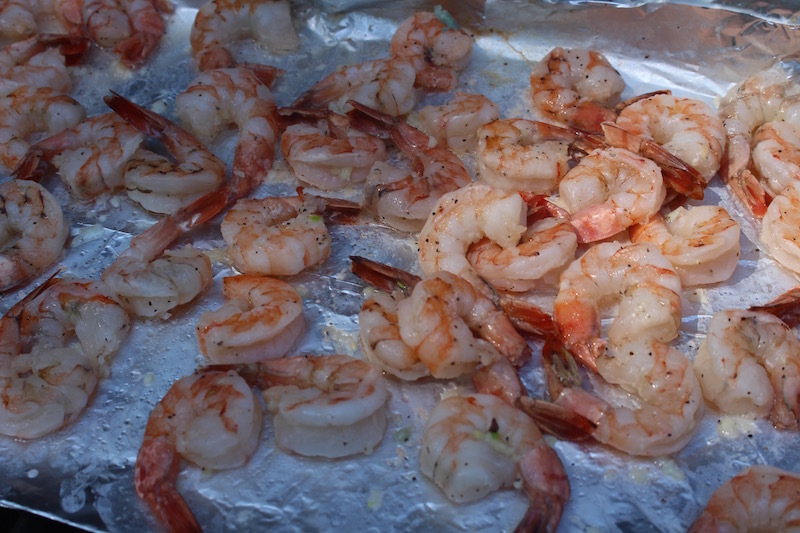 2) Cover the grill with foil paper and grill the shrimp on each side for 3 minutes. 3.) After they are done grilling put them on the sticks and place in the serving dish. 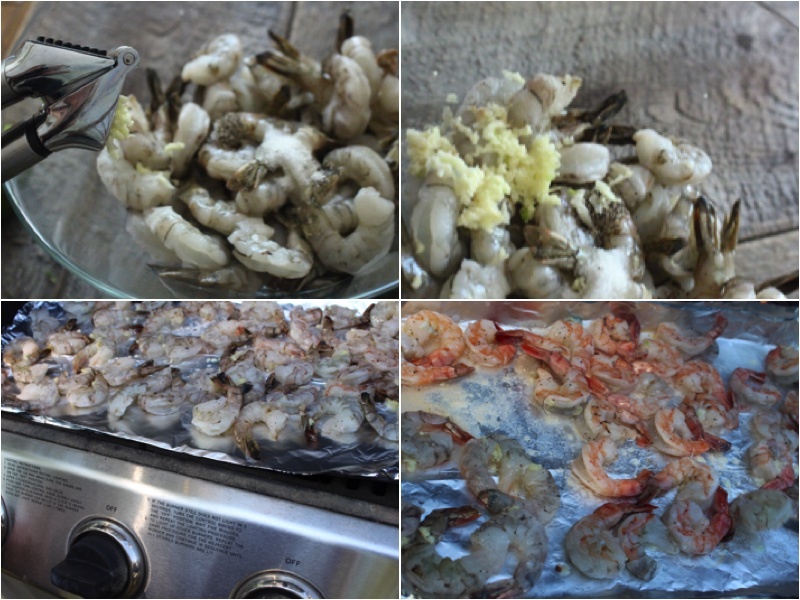 Wash all the shrimp and add into a bowl with salt/ ground black pepper/ lime juice and crushed garlic and mix. Cover the bowl and let it stand for 20 minutes. 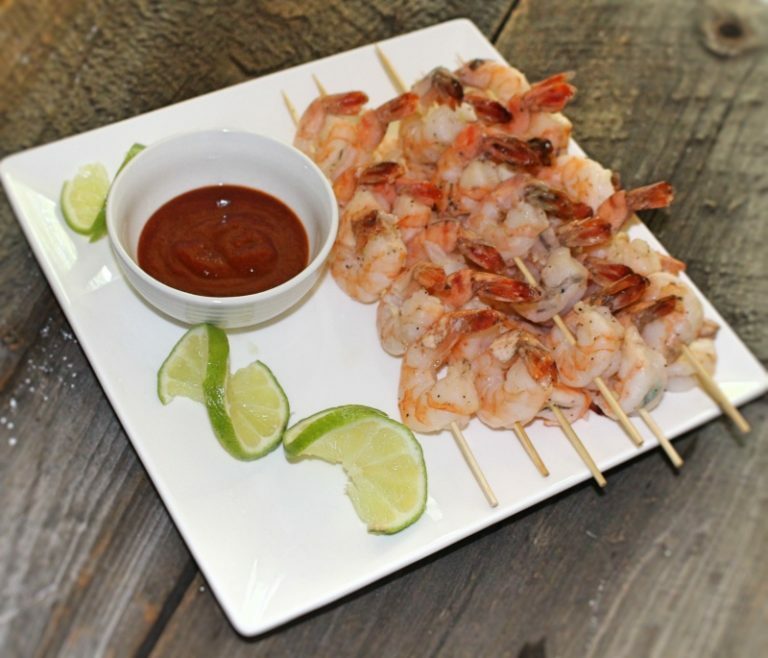 Cover the grill with foil paper and grill the shrimp on each side for 3 minutes. After they are done grilling put them on the sticks and place in the serving dish.